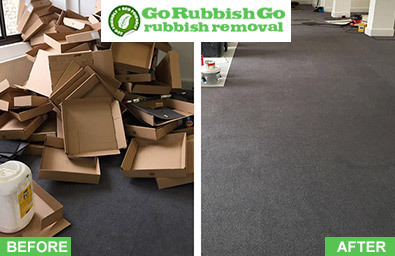 Finding the time to free your home or office from unwanted junk, unused furniture or just general waste and debris isn’t easy, and whether you’ve just moved to a clutter-filled home or if you’re looking for a little more space, Go Rubbish Go. can help you! We offer range of affordable home clearance services for every room in your life, and with our years of experienced and talented team members, you won’t find a better Edgware waste clearance company anywhere else in the HA8 area. 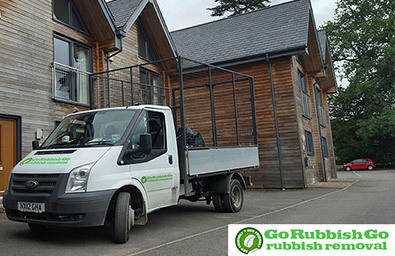 Lots of people are discovering the difference that we can make to both your home and office, offering professional HA8 rubbish removal services not only designed to collect rubbish and waste, but to dispose of it as well. From rubbish removal to garage clearance, there are dozens of ways in which we can help you. Hiring us is a decision that you won’t regret thanks to our guaranteed services! If you live in the Edgware, NW7 then our rubbish disposal teams are just waiting to save you time, effort and money, so get in touch today. Find out everything that you need to know and hire us for your rubbish disposal Edgware problems by calling us now on 020 8610 9182! Call Now For The Best Waste Disposal HA8 Services In Town! Go Rubbish Go. is one of the most popular companies in the NW7 area because of our top-quality services and friendly professionals with experience and reliability. But we are also famous for our low and competitive prices. We offer excellent rates for all of our waste collection in HA8, Edgware, whether you’re looking for waste disposal HA8 teams or help with your office clearance, and you’ll be able to afford our help even if you’re on a budget! Much obliged to the whole staff, from the customer service team to the collectors themselves, for the brilliant waste clearance service they delivered to me in Edgware, HA8 the other day. I don’t know what I would have done without you! Take Advantage of Our Budget-friendly Rubbish Clearance in Edgware! Contact us today and we’ll give you a free price quote so that you can see how much money you can save, and with no hidden fees or surprise costs, you won’t be disappointed in what we can do for you. We’ll handle all of your junk and waste removal in Edgware, HA8 for you so that you won’t have to panic. With our speedy and efficient teams you’ll soon have the clutter-free spaces that you need, without having to lift a finger! If you live in the HA8 postcode district and you want professional clearance services for a price you’ll love, simply pick up the phone and call us today on 020 8610 9182! Book with us now and get a discount! We know that your waste clearance needs are important to you, and they are important to us to! We work tirelessly to ensure that we are always providing you with the very best service in Edgware every single time. We are always looking for ways to better ourselves, because not content to be the best in London, we want to be better today than we were yesterday, and better again tomorrow! 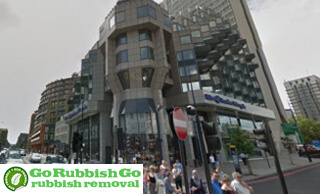 To find out what our tailored services have to offer you, make a phone call to 020 8610 9182 now and talk to one of the experts in our office who will be happy to tell you how Go Rubbish Go can resolve your rubbish clearance in Edgware! Edgware is a mostly residential area found in north London, and is a part of the London Borough of Barnet. Identified as one of the capital’s major cities in the London Plan, Edgware is located just ten miles away from Charing Cross, and is home to the HA8 and NW7 postcode districts. Its rich history can be traced back to the 1800s. Sitting closely to Edgware are areas including Bushey, Stanmore, Queensbury and Mill Hill. Edgware is well-served by public transport, and has its own Underground railway station, Edgware Station. There are also many bus services available, and thanks to Edgware’s residential status, travelling by car is also quick and easy. There are lots of beautiful and historic sites to explore in the area, including the St Margaret of Antioch Church and the Basin Lake. Other points of interest include one of the area’s only farms, along with the popular Broadwalk Shopping Centre and more.